Our farm mandate is to create a sustainable family farm that promotes community and access to fresh local nutritious food. To be a place of health and healing through an involvement with nature. 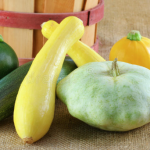 We are committed to growing our food and business in an ecologically sustainable manner. We believe everyone should have access to food that fuels their health, has space to enjoy nature and be able to talk to their farmer. Want to learn, get your hands dirty, and enjoy the beauty of growing? Spring and Summer workshops are available on the farm to help you develop your own thriving organic garden. 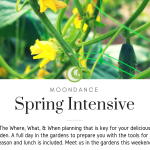 Farm tours can be organized for groups, or visit us on a market day Wednesday-Sunday and learn about what we do at Moondance.